Phottix has teased a feature likely to be coming in the next firmware update for their Odin TTL flash triggers. The design of the logo suggests that this is something to do with flash synchronisation, be it rear-curtain sync (though the Odin already has it), high-speed sync (also already present) or an answer to PocketWizard’s HyperSync and Yongnuo’s Super Sync. ODS = something-something-sync? Though the Phottix Odin already this sort of manual sync-speed optimisation feature, it isn’t nearly as customisable as the PocketWizard implementation, which can be fine-tuned to the user’s liking in the PocketWizard Utility software. Perhaps Phottix will now do something similar. What do you think it might be? It’s not clear at this stage if ODS is coming to all Odins, for Nikon, Canon and Sony, or just to certain brands. Firmware updates are installed via the device’s micro-USB port. 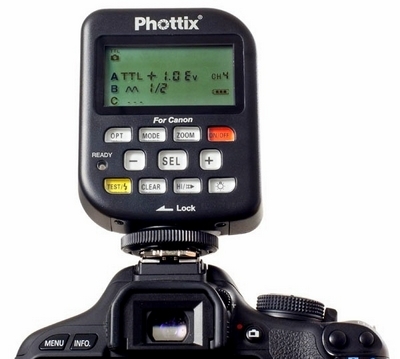 For more information on Phottix products, visit their online store.